TruView is proud to have sponsored the 2017 Marianne Volpe 5K and Pumpkin Fun Run, which benefits the Leukemia & Lymphoma Society. The event was held on Saturday, October 28, at Baldwin Park in Baldwin, New York. 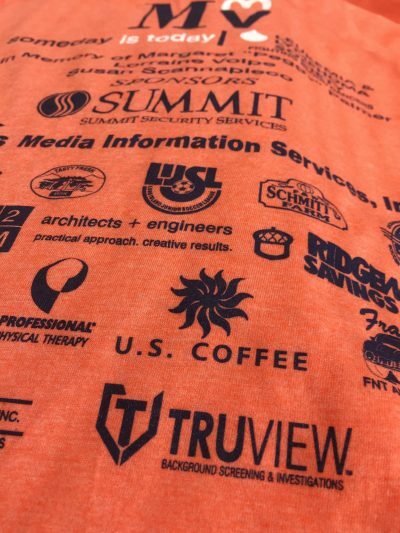 The annual event is organized by the family of James Volpe, Client Service Manager of Summit Security Services, Inc. and a friend of TruView. Jim’s wife Marianne waged a valiant battle with acute lymphocytic leukemia (ALL) before passing away in 2011. The American Cancer Society estimates that, every year, more than 6,200 Americans will be diagnosed with ALL, and roughly 1,450 people will succumb to the disease.